Secret Stories® Phonics Blog with Katie Garner: The NEW Secret Stories® Phonics Book— Version 2.0! Sharing the Secret Stories® just got a whole lot easier! Teachers' favorite secret weapon for teaching all (and I mean ALL!) of those tricky letter sounds and phonics skills just got a "face-lift!" 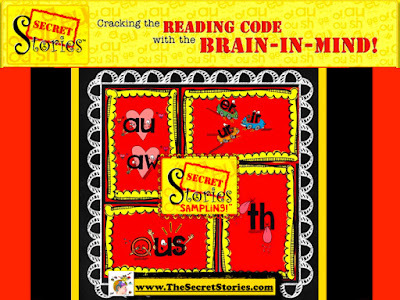 Introducing the latest edition of Secret Stories® Cracking the Reading Code with the Brain in Mind!— Version 2.0! This NEW edition of the Secret Stories® book and posters was just released this fall! If you've been waiting for the right time to update yours, or if you have always wanted to buy it, now is the time! The new look, layout design makes it easy to start sharing the Secrets! Instructional icons, in-line text boxes and "just-so-you-know" tags, the new book is easy to navigate and grab what you need in a hurry! Plus, it's jam-packed with new sections, including how to dig even deeper into the affective learning domain for accelerated reading and writing (phonics) skill access! And for those who might be wondering how to still make use of your existing book and/or poster set, here's the best tip ever....and one that might even convince your principal to purchase it for you! 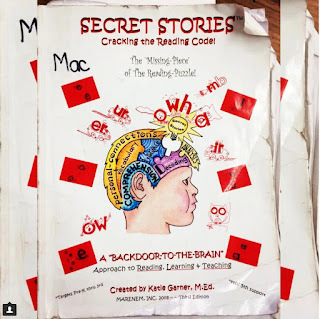 Ideally, every classroom using the Secret Stories® should have a 'loaner' book available for parents to check-out, as needed, to remediate and/or accelerate learning at home. Your old book makes the perfect parent resource, plus it's an easy way to satisfy School Improvement Plans that Require teachers and administrators to connect school and home learning, so as to foster stronger home-school connections. Quite possibly, the world's most well-used "old" Secret Stories® Book! Similarly, your old Secret Stories® posters can be bound together to make a 'big book' of all the Secrets that students can take turns taking it home to share. 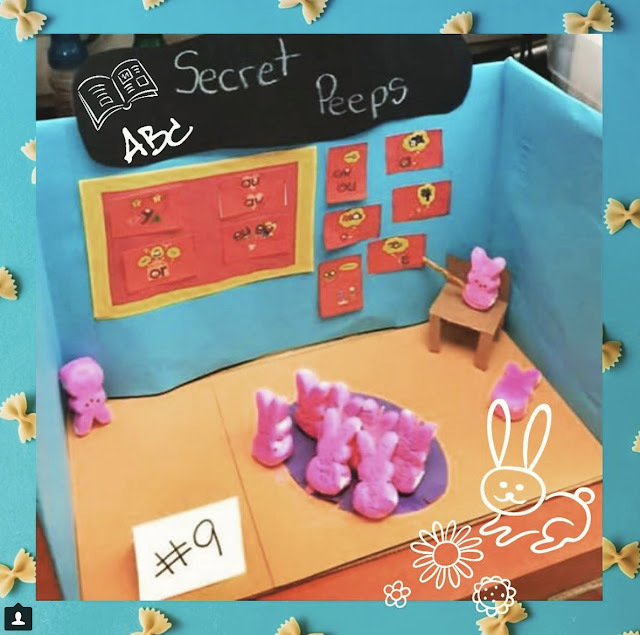 (This will be the most valuable commodity in your classroom, as all of them will want to be privy to new Secrets that you haven't yet shared, which makes it a great behavior incentive!) Simply staple or hole-punch/bind posters together. If you had originally cut your posters, don't fret, as they can easily be re-mounted onto large pieces of construction paper (preferably yellow, black or read) and them laminated. Both are ideal ways to "let parents in on the SECRETS®" and how kids use them in the classroom to read and spell words! To celebrate the new release, I'm doing a special giveaway of the new book, along with the choice of poster styles (Fun & Funky, Space-Saver/Dual-Use Placards or Original) See Rafflecopter below for details on how to enter. But you don't have to win to get started sharing Secrets, as you can download the FREE mini-anchor sample set, here, or by clicking on the link, below! 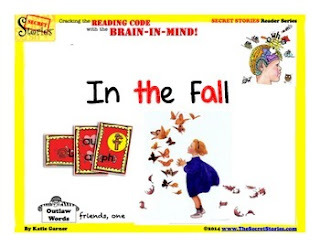 If you are subscribed to my newsletter, then you already know about the free download window for the SECRET STORIES® Guided Reader "In the Fall!" If not, be sure to grab it now before the window closes later this week! "Spotting SECRETS™ in my name!" I hope to have the chance to meet many of you during my conference travels this year! Every year I'm blown away with the success my kinders have with the secrets! I can't believe how quickly they went from knowing few, if any letters names or sounds, to reading! They love to find secrets and they are using them in their writing...and it's only the beginning of November! I love the Secrets and so do my students. I struggle with being consistent in teaching them and how to approach teaching them. Secret Stories have been such a blessing in my Kinder class. The students LOVE learning new stories. I have definitely seen an improvement in reading and decoding skills ever since I started them. My kiddos and I love the Secrets. I love to hear there excitement when they discover the Secrets when they are reading! Thanks!!! I have read about this many times and have thought about using the stories. I think that it's the piece I need to help my students improve their reading and writing abilities. I love using the Secret Stories in my Kindergarten class. It is amazing how much they help my little ones! I'd love to have a copy of this new version. How do I purchase it if I don't win? I have been wanting to purchase the class kit for some time. Winning would be wonderful! The hardest part is getting things to stick and be remembered when needed. I really want to win this! My hardest thing is to get all the standards in a half day kindergarten. Fitting in phonic, fluency, comprehension, pa and vocab is hard. I am totally amazed at my kindergarteners reading and writing this year!!! They are loving the secret stories!!! I wished I had found this earlier in my teaching career! I love the secret stories. 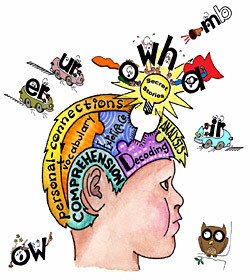 They have totally changed the way I teach phonics to my students and my students are GETTING it and remembering it! Thank you for creating the secret stories! These are such a great teaching tool, the kids love them. I love this!! I would love to win!! A friend at school introduced me to the secret stories and I love them! I would love to add to my first grade phonics. 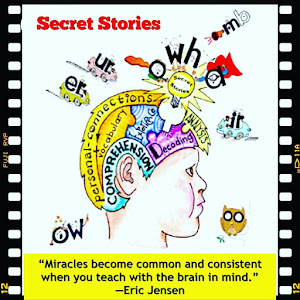 As a coach, I have my whole first grade team implementing The Secret Stories. Still working on K! I introduced the secrets to a bunch of staff members a few years back. We love it and my kids seem to be cracking the code in both reading and writing! Can't wait to see the new book! I can't wait to see the new 2.0 Secrets! This looks like an incredible tool to help kids learn the tricks of our language in a FUN way! I love using the Secrets and love hearing my students retelling them as they help each other learn to read. Can't wait for 2.0. The secret stories are absolutely amazing and my students get such a kick out of them. So easy for them to remember. Can't wait for the 2.0 version. Love the secret stories as do my students! Excited for 2.0 version! So excited for the book! Wow! Such a fun way to learn to read. I LOVE using Secret Stories with my Kindergarten class! The stories behind the letter combinations really help my students remember their sound while reading and writing. I love the whole idea behind Secret Stories. Can't wait to get Katie to our school for some PD. Thanks!!! I love Secret Stories and would love to win the revised book!!! I finally got my posters hung and kids immediately came into the room and started asking me to tell the stories. I'm so glad I found these. My kids loved looking at the wall to help them figure out the strategy. Love my secret stories! I love the secret stories. So excited to see the new ones! I am excited to hear of an updated version! We enjoy the secret stories very much! My Students love the secret stories.....they sit on the edge of their seats in anticipation for a new story each time.!!! thank you!! I have been using your original version for years. The kids absolutely love them. I'd love to win the me version. I forgot to mention that I already follow you on Facebook. I LOVE the secret stories. I bought the first book on my own and finally got my principal to buy the posters for me last year. The kids use them and tell their teachers the stories. Excited for the new version. Secret Stories would be a great tool to use with my tutoring students. It is so much fun to share the "secrets". 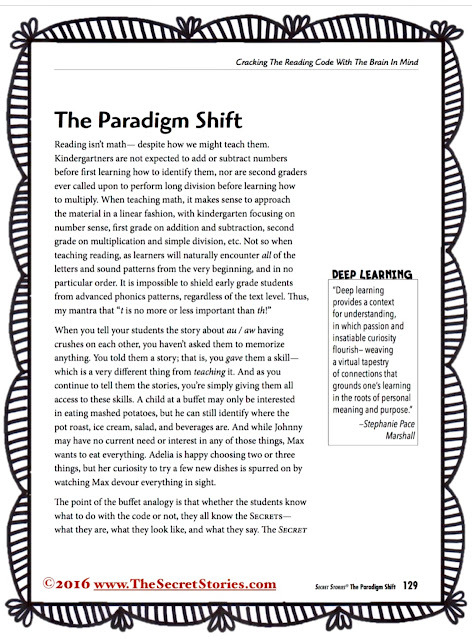 I have seen this used as s parent and would love to use it in my first grade classroom. I think the hardest part of phonics is teaching kids blending and the fact that they get mixed up a lot with the sounds. I have been using Secret Stories with the students I tutor. I would love to win a copy of the new book! I'm excited to see the new edition. O used the first edition last year and loved it. I'm so excited about this set, but likewise totally bummed. I JUST purchased the first set (after years of dreaming and then another year of saving). It's in full-on use in my classroom, but wow, I wish I had just waited 2 more months to buckle down and buy it. I would love to try to implement this - I have heard wonderful things about it! This looks fantastic! I am so happy to have stumbled upon this. Sounds can be such a struggle. 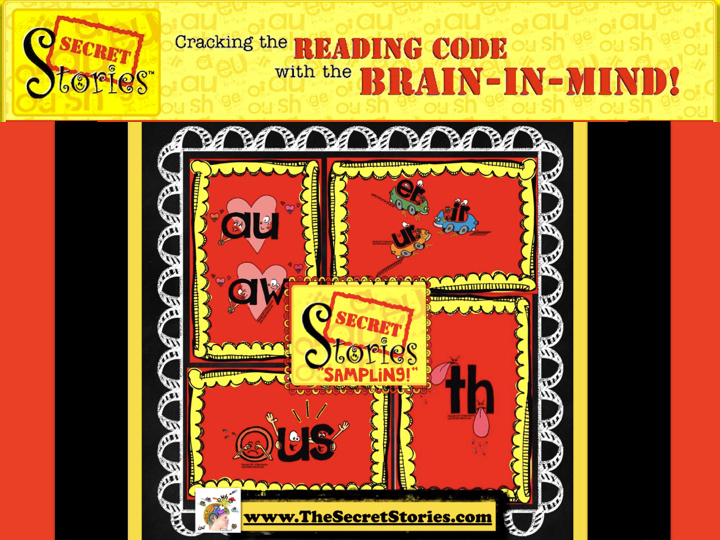 Love sharing the Secret Stories when kids struggle with decoding. I would love to have your 2nd edition. LOVE using secret stories with my firsties! Just wanted to say GOOD LUCK to all who entered!! !